- have you ever noticed that sometimes you finish the round, you look at the score posted in the cellphone app, and then a few minutes (sometimes hours) later, it changes by +- 1 stroke? I’d agree with battery level. 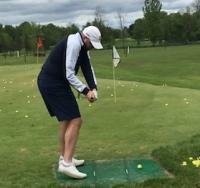 You’re correct in your assessment about smart putting. I have it turned off as it was doing the same thing as your experience. Never noticed the third point. Caddie 2.0 is now live for Android users. I'm excited to see how it performs - I'm playing the next couple days, one on my home course and another on a completely unfamiliar course. Should be a good synopsis on how well it works. I'll report back later this week. Caddie 2.0 still needs a bit of work for me. It had some very questionable suggestions on a couple holes. I'll still reference it on courses I'm not familiar with, but I don't think the algorithm is refined enough yet to solely rely on it. I'm sure it will get better with time though. Arccos has done a good job lately trying to improve the overall system, so I look forward to seeing improvements over time. Mine balked and refused to work on my first round after Caddie 2.0 went active (my sixth round overall). So I haven't seen it yet but hope to try it out this weekend. Does it only give suggestions for tee shots on Par 4's and Par 5's? As in hit driver or lay up with something shorter? Yep. One of the weird recommendations that I ignored was to go 5w, 5w to get to the green. It will then give you recommendations for your approach shot as well. It takes into account wind (if there is a weather station nearby - otherwise it uses the previous days data from my understanding) and elevation changes as well. I was talking with some of the Cobra/Arccos guys yesterday and they are constantly refining the product to make it better. They also just hired a team of people dedicated to Android development so hopefully we Android users get updates shortly after they push it out on iOS. Although caddie 2.0 is an improvement, I've yet to use it. Mostly because I think it's only good for a course I haven't played, and most holes are straight driver/iron . Having said that, I love my arccos 360. Support is great and company is constantly pushing new features. Is anyone else having strange results with the web based putting dashboard? 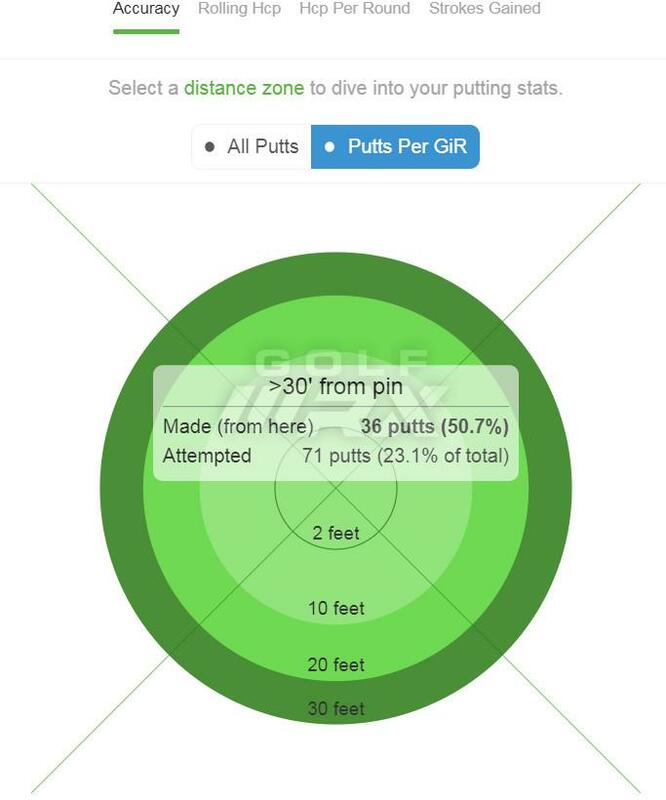 The numbers don't make sense when toggle between All Putts and Putts per GiR. 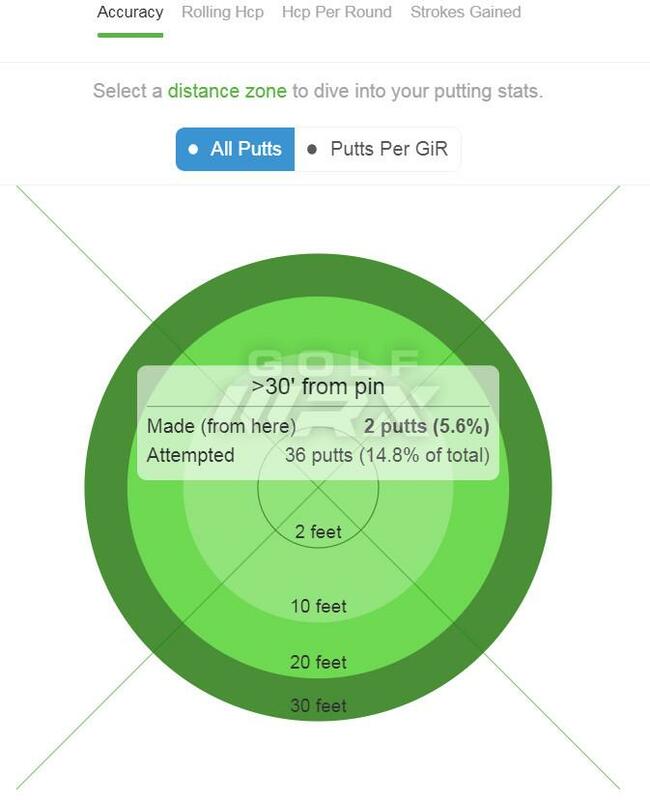 I should have more putts in the All Putts than GiR and as much as I wish I made 50+% from > 30' that's just not the case. Here's what the dashboard looks like. I have the same issues. The putting stats are fundamentally broken no matter how closely you edit the supposed flag locations. Even moreso than GG, Arccos 360 is only useful for tee to green. Everything about the chipping and putting is FUBAR. Personally, I think they'd be better off focusing on pure strokes gained (the methodology and numbers are all available) rather than some strange Arcoss interpretation of it. Speaking of Arccos handicap, I always wondered how they calculate the Driver one. There was a hole where I shot in the woods and so I entered a +2 penalty. And yes, any penalties will really impact your strokes gained/hcp. This goes more in depth about how they calculate the stats, etc. Personally, I think they needed this and hopefully they continue to expand the content. Do you need to phone in your front pocket if you’ve got an Apple Watch? Is there any news when Arccos will be running on the Apple watch without the need for a phone ? Hey, long time user, mostly lurker here. Haven't used it on the course yet, so can't say anything about that. any idea when they're going to integrate with apple watch so i don't have to have a phone in my pocket? thanks. They just launched a product that negates the need for smartphone in pocket and also announced that an apple watch 3/4 app will be launched near March!